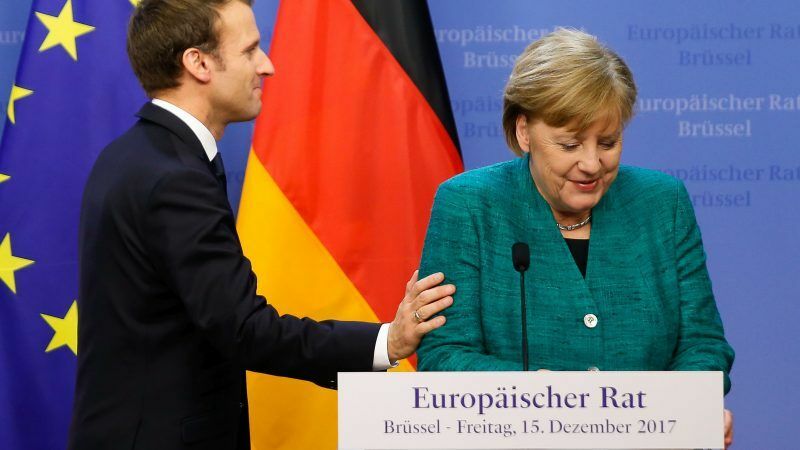 France wants to inject new momentum into the two countries’ European Union reform efforts, which have been stalled by Merkel’s taxing coalition government talks at home. Before travelling to Paris, Merkel will meet IMF chief Christine Lagarde in Berlin on Friday. The Macron-Merkel meeting will take place a day after Germany’s acting Finance Minister Peter Altmaier, one of Merkel’s closest allies, meets his French counterpart Bruno Le Maire in Paris. They are expected to discuss how to improve governance of the 19-member single currency bloc. Altmeier has played up the chances of progress toward a banking union that is considered necessary to shield the eurozone from future crises. But speaking after meeting Eurogroup head Mario Centeno of Portugal in Berlin this week, Altmaier declined to give a timeline, saying that Germany wanted clarity on risk sharing and risk reduction. “In the last two Eurogroup meetings, we agreed to try to come to a common understanding over the next few weeks about what we mean by risk reduction and what steps are needed for this,” said Altmaier. 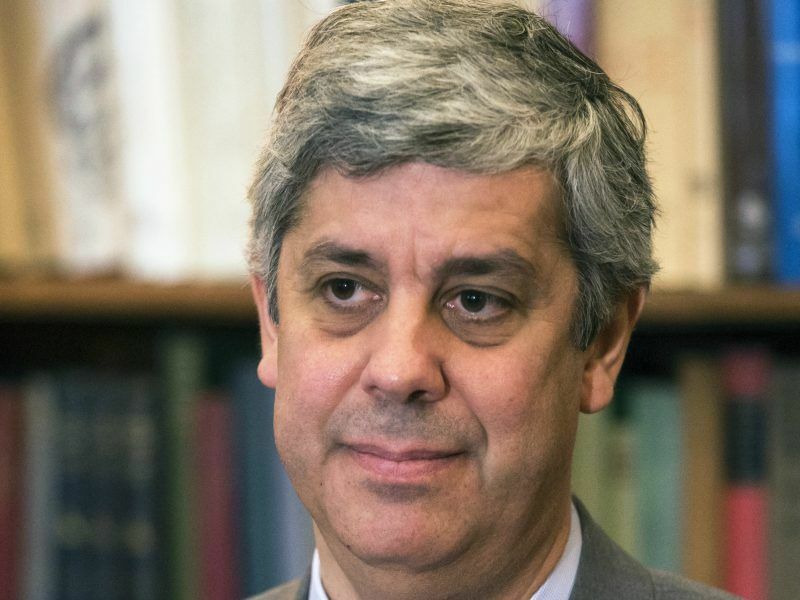 The Eurogroup’s new president, Mario Centeno, has welcomed eurozone reform proposals agreed by Germany’s two biggest parties in preliminary coalition talks. Meanwhile, leading economists from France and Germany weighed in on Wednesday on the politically heated debate about making the eurozone more resilient by calling for new fiscal rules and the creation of a virtual euro-area “safe asset”. The proposals are meant to bridge German demands for more fiscal discipline and France’s insistence on more risk-sharing and help the two biggest eurozone economies drive the reform efforts forward. The 14 economists from France and Germany call for an overhaul of euro area fiscal rules, the creation of an independent fiscal watchdog, a joint eurozone fund and a new, synthetic “safe asset” that offers investors an alternative to sovereign bonds. It would effectively be a derivative of weighted sovereigns. “Implementing these reforms would be a game-changer for the eurozone, significantly improving its financial stability, political cohesion and potential for delivering prosperity to its citizens, all while addressing the priorities and concerns of the participating countries,” the economists said. “Our leaders should not settle for less,” said the experts, who include Ifo institute president Clemens Fuest and Jean Pisani-Ferry, a former adviser to French President Emmanuel Macron. The economists want to replace current fiscal rules, which focuses on the structural deficit, by an expenditure rule and a long-term debt-reduction target. “A rule of this type is both less error-prone than the present rules and more effective in stabilizing economic cycles, since cyclical changes in revenue do not need to be offset by changes in expenditure,” the group said. They recommended that compliance with the new fiscal rules should be monitored by national watchdogs that would be supervised by an independent eurozone institution. The idea of a synthetic eurozone bond is likely to draw a rebuff from Chancellor Angela Merkel’s conservatives, who are sceptical about creating new tools for more risk-sharing. Germany is concerned that with high ratios of bad loans in banking sectors across Europe, German savers may be the first to be asked to help pay depositors elsewhere. But the economists insisted that introducing such assets in parallel with a regulation on limiting sovereign concentration risk would help “smooth the transition away from excessive concentration on home-country government bonds”.